2012 Globe Honors winner Nicolette Burton was one of three leading actress finalists at the National High School Musical Theater Awards/The Jimmy™ Awards, which were held on June 25 in New York City. 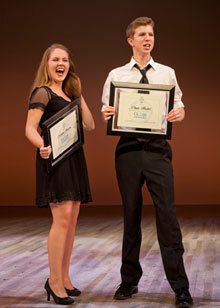 Burton, a resident of Ramona and student at Canyon Crest Academy, and Chase Fischer, a resident of Poway and student at Coronado School of the Arts, won top honors at the 2012 Globe Honors competition held on May 21, winning Leading Actress and Actor in a High School Musical and an all-expenses-paid trip to New York to participate in the national competition. Burton and Fischer joined 58 other regional winners from high schools across the country for a rigorous week of workshops, coaching sessions, rehearsals and performances. The award ceremony was co-hosted by Constantine Maroulis and Deborah Cox at the Minskoff Theatre on Broadway, where Burton competed with “Maybe I Like It This Way” from the musical The Wild Party before an audience of over 1,700 theater enthusiasts.This year’s Globe Honors was presented in association with Broadway/San Diego – A Nederlander Presentation. In addition to Burton and Fischer, this year’s Globe Honors winners also include Jonathan Edzant of Canyon Crest Academy and Kelly Prendergast of Grossmont High School (Outstanding Achievement in Musical Theatre), Patrick Gates of San Diego Virtual Schools and Sara Rose Carr of Canyon Crest Academy (Outstanding Achievement in Spoken Theatre) and Chad Mata of Coronado School of the Arts (Outstanding Achievement in Technical Theatre). Winners of all Globe Honors categories received $1,000 scholarships, and the winners of the Musical, Spoken and Technical Theater categories participated in a two-day trip to Los Angeles where they went behind the scenes at the Center Theatre Group and visited the historic Pantages Theatre. The National High School Musical Theater Awards is an annual celebration of outstanding student achievement in high school musical theater. The program commenced in New York City on June 20 with rehearsals, master classes and interviews with theater professionals leading up to the live awards show where The Jimmy™ Awards (named for legendary Broadway producer and theater owner James M. Nederlander) for Best Performance by an Actor and Best Performance by an Actress were presented on June 25. Founded by David T. Nederlander in 1912, the Nederlander Organization is currently celebrating 100 years of theater development, ownership, management and production under the guidance of James M. Nederlander. Broadway/San Diego – A Nederlander Presentation is part of the nationally recognized Nederlander Producing Company of America and has presented over 325 shows and events during its 35-year history. 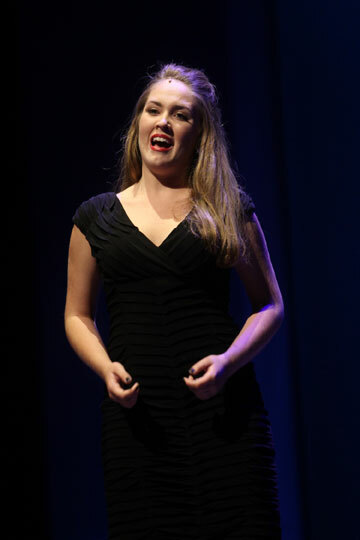 Finalist Nicolette Burton, representing Globe Honors, sings "Maybe I Like it This Way" from The Wild Party at the National High School Musical Theater Awards (The Jimmy Awards) on June 25, 2012. 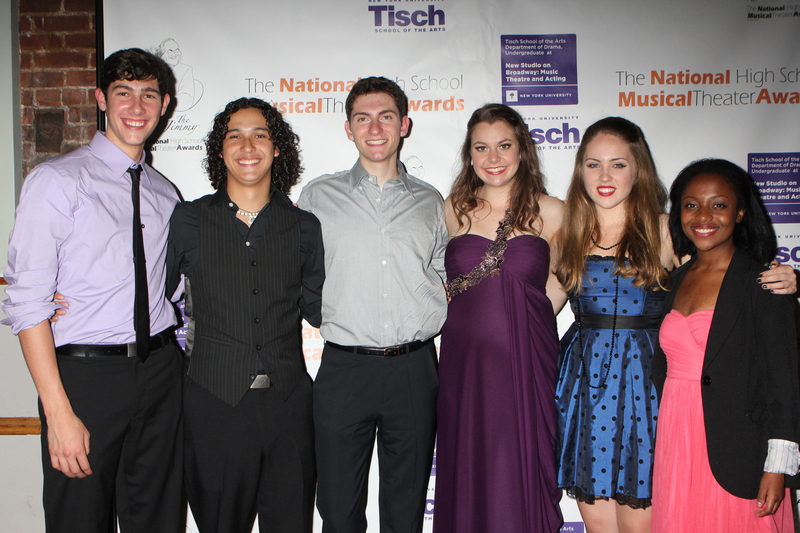 Photo courtesy of the National High School Musical Theater Awards. Finalist Nicolette Burton representing Globe Honors (second from right) with her fellow finalists at the National High School Musical Theater Awards (The Jimmy Awards) on June 25, 2012. Photo courtesy of the National High School Musical Theater Awards. 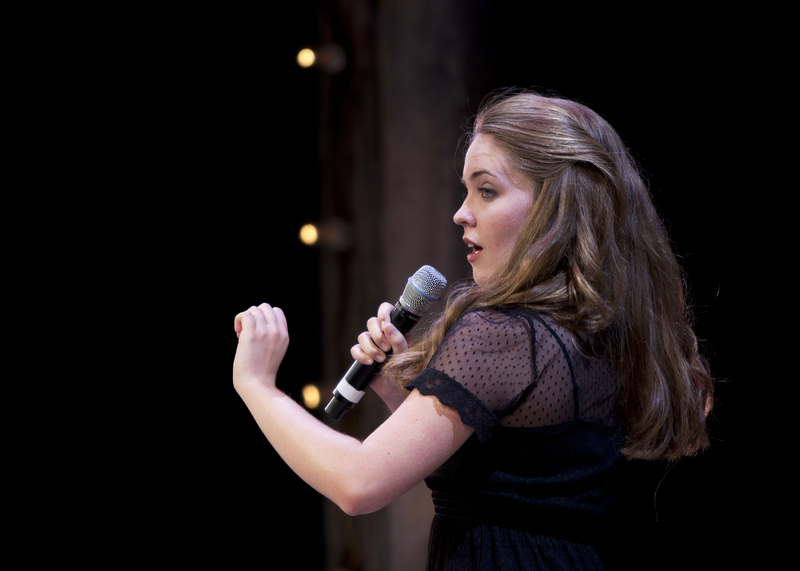 Nicolette Burton, who won in the category of Outstanding Achievement, Leading Actress in a High School Musical, will compete at The Jimmy Awards in New York City. The 2012 Globe Honors and The Road to the Jimmy Awards was held on May 21 at The Old Globe. Photo by J. Katarzyna Woronowicz. 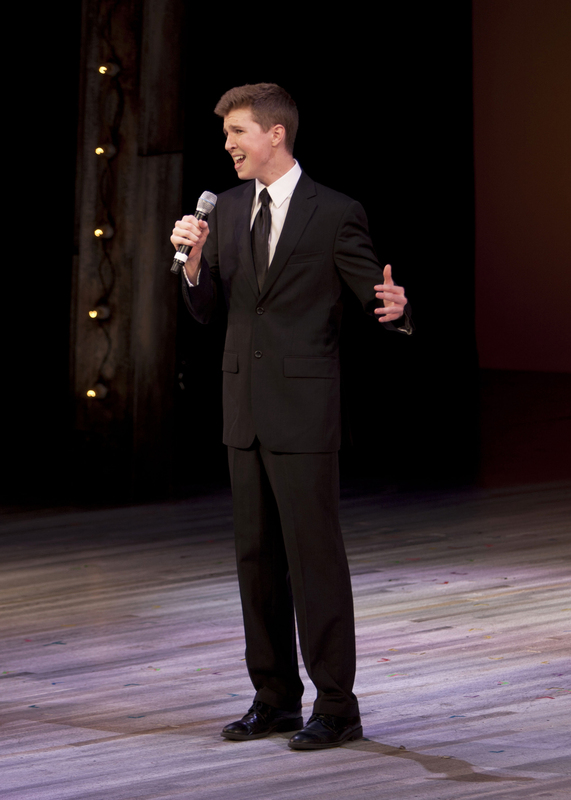 Chase Fischer, who won in the category of Outstanding Achievement, Leading Actor in a High School Musical, will compete at The Jimmy Awards in New York City. The 2012 Globe Honors and The Road to the Jimmy Awards was held on May 21 at The Old Globe. Photo by J. Katarzyna Woronowicz. 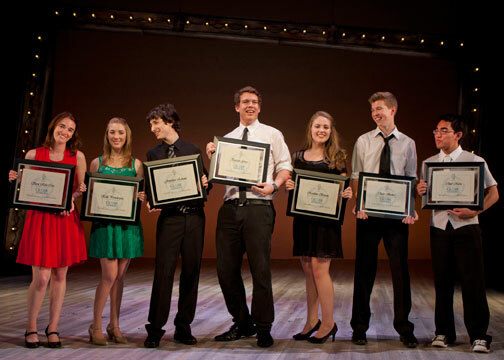 The winners of the 2012 Globe Honors: Sara Rose Carr (Spoken Theatre), Kelly Prendergast (Musical Theatre), Jonathan Edzant (Musical Theatre), Patrick Gates (Spoken Theatre), Nicolette Burton (Leading Actress in a High School Musical), Chase Fischer (Leading Actor in a High School Musical) and Chad Mata (Technical Theatre). 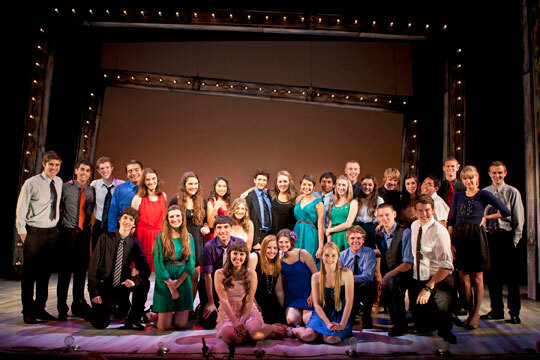 The 2012 Globe Honors and The Road to the Jimmy Awards was held on May 21 at The Old Globe. Photo by J. Katarzyna Woronowicz. Nicolette Burton and Chase Fischer, who won in the categories of Outstanding Achievement, Leading Actress and Actor in a High School Musical and will compete at The Jimmy Awards in New York City. 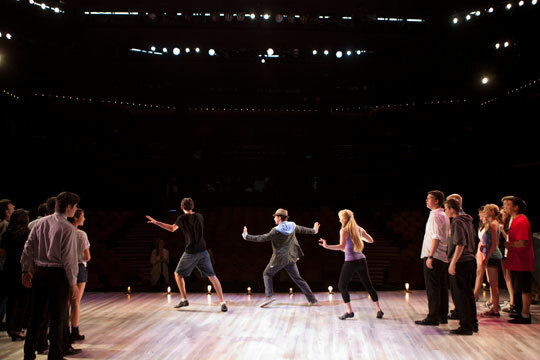 The 2012 Globe Honors and The Road to the Jimmy Awards was held on May 21 at The Old Globe. Photo by J. Katarzyna Woronowicz. The semi-finalists, finalists and winners of the 2012 Globe Honors. 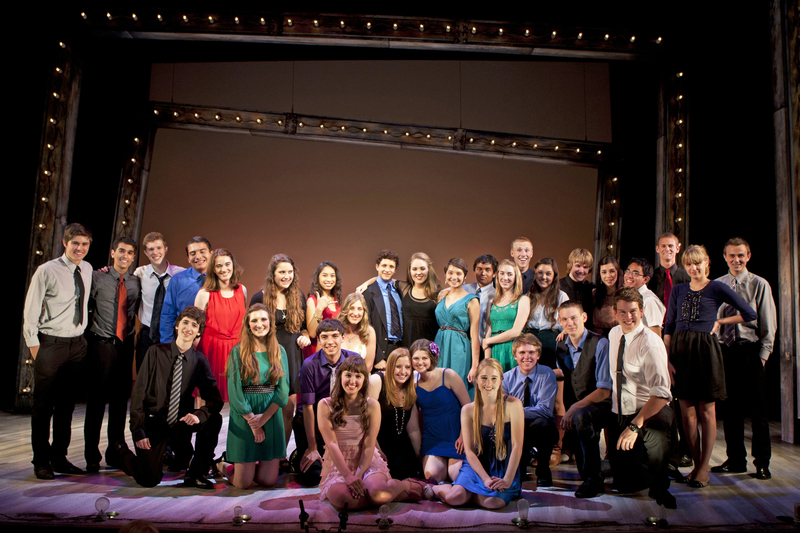 The 2012 Globe Honors and The Road to the Jimmy Awards was held on May 21 at The Old Globe. Photo by J. Katarzyna Woronowicz. 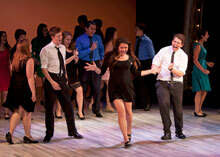 Student competitors rehearse a group performance for the Globe Honors ceremony. 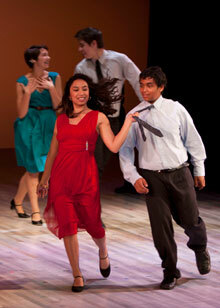 The 2012 Globe Honors and The Road to the Jimmy Awards was held on May 21 at The Old Globe. Photo by J. Katarzyna Woronowicz. Student competitors Danielle Diamond, Carson McCalley, Molly O'Meara, Samantha Canela and Patrick Gates do a vocal exercise in preparation for the evening's competition. 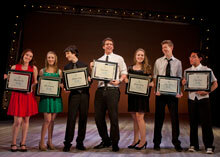 The 2012 Globe Honors and The Road to the Jimmy Awards was held on May 21 at The Old Globe. Photo by J. Katarzyna Woronowicz. (foreground) Semi-finalists Lorina Alfaro and Sanket Padmanabhan and (background) Samantha Canela and Carson McCalley during a group performance at the Globe Honors ceremony. The 2012 Globe Honors and The Road to the Jimmy Awards was held on May 21 at The Old Globe. Photo by J. Katarzyna Woronowicz. (foreground, from left) Sarah Marie Pence, Chase Fischer, Danielle Diamond and Patrick Gates during a group performance at the Globe Honors ceremony. The 2012 Globe Honors and The Road to the Jimmy Awards was held on May 21 at The Old Globe. Photo by J. Katarzyna Woronowicz.